The men’s basketball team dropped their third game in a row to Portland, 80-77, despite having as much as an 18-point lead in the second half. The Matadors came out of the gates strong, putting up 41 points in the first half to take a 14-point lead heading into halftime. They then added to the lead in the second half before things started to unravel. 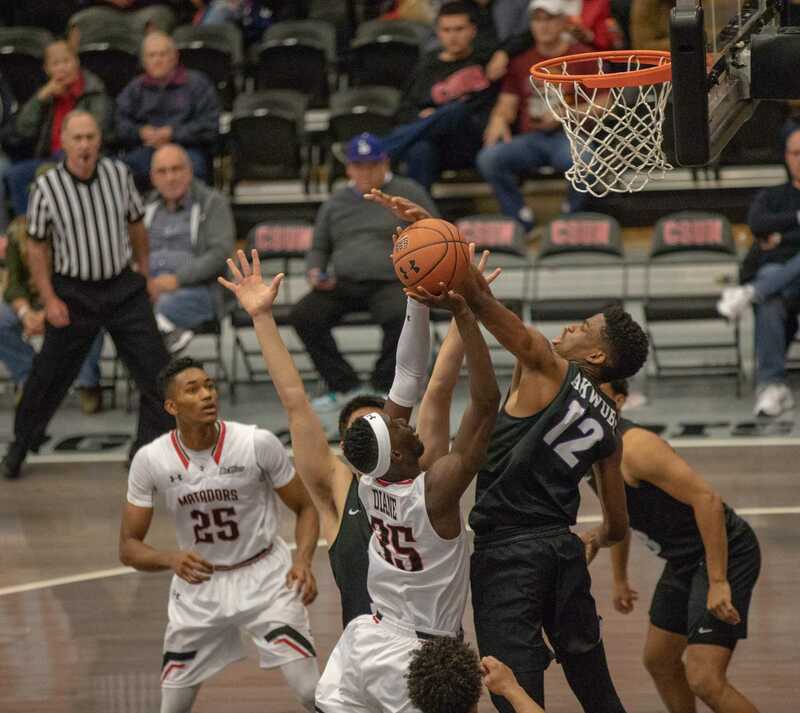 Fouls were definitely a problem for CSUN as they had put Portland in the bonus with over 10 minutes left to play in the game, with free throws given for every CSUN foul committed from that point on. Gottfried was especially livid when freshman Lamine Diane was called for an offensive foul on a fastbreak with 9:34 to play and had to a sit being one away from fouling out. At that point the Matadors were up by eight points and seemed to be on their way to their first win, but from there the Pilots finished the game on a 26-14 run and ended up winning by three. Sophomore Terrell Gomez again lead the Matadors in scoring with a career-high 25 points, including five three-pointers. Diane continued to impress in his first taste of the college game, grabbing his first double-double with 21 points and 12 rebounds, while graduate transfer Cameron Gottfried registered career highs in both points, with 13, and assists, with seven. The Matadors next play on Tuesday, Nov. 20 at 7 p.m. at home against Tennessee State. They will be looking to get their first win in the Mark Gottfried era after an 0-3 start to the season.